PRWeek UK Power Book 2019: Which duo are a new entry in the consumer agency top 10? 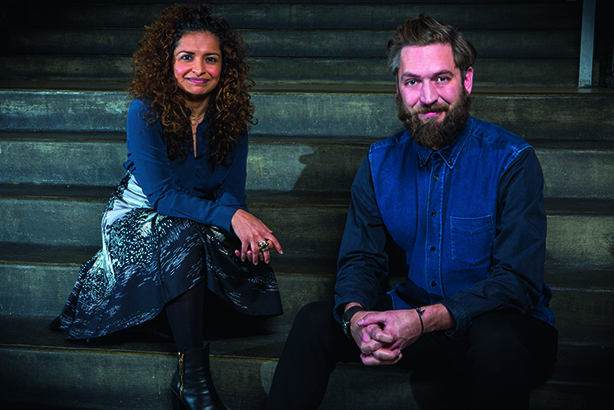 The Romans co-founders Misha Dhanak and Joe Mackay-Sinclair are a joint new entry in the PRWeek UK Power Book Top 10 list of consumer agency pros, published online today. Misha Dhanak and Joe Mackay-Sinclair are in the top 10 list - who else joins them? The duo take the ninth spot in the list, which includes senior UK-based figures from global agencies and smaller, independent PR shops. Dhanak and Mackay-Sinclair have been recognised in the list after growing their Mother-backed agency from a confident upstart to an established part of the consumer PR community in a few short years. The agency picked up four accolades at the 2018 PRWeek Awards and was also named Best New Agency at the event in 2016. The Romans has worked with a host of big names including Diageo, John Lewis, Virgin Trains, Playstation and BrewDog. The UK Power Book is an extensive list of the most influential and respected comms professionals in the UK today. The Power Book is also available in the latest print edition of the magazine, which is sent to subscribers this week. PRWeek will be publishing more of the top 10 (and top 20) lists from different sectors over the coming days. PRWeek UK Power Book 2019: Hardie moves up corporate and financial list, and who's a new entry?